Sunday night (Aug. 28) was one of the biggest nights for MTV, the MTV Video Music Awards! 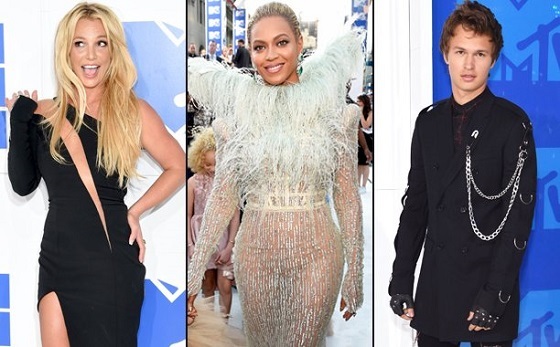 The night start with the big preshow filled with appearances and great fashion on the white carpet from Britney Spears, The Chainsmokers, Beyoncé, and more, as well as hot performances by artists like Alessia Cara, Jidenna, and Lukas Graham. Of course, it was great to see different artists take home Moonmen, but the most exciting part of these shows are always the performances! This year's lineup was absolutely crazy...probably the most excited I'd been for the VMAs in a while. With Britney, Bey, Rihanna, Kanye West, and more hitting the stage, it definitely made for a pretty good (though LONG) night! Held at the Madison Square Garden, the VMAs didn't have a traditional host for the night. Instead there were "correspondents": Keegan-Michael Key, Jordan Peele, Nicole Byer, Jay Pharoah, and DJ Khaled. Khaled is Khaled, so we know what to expect from him, but these comedians were corny to me. Very corny...and LOUD. Like I would have rather had someone just announcing things from a hidden booth somewhere, moving the show along, than hear them talk. MTV, do better. 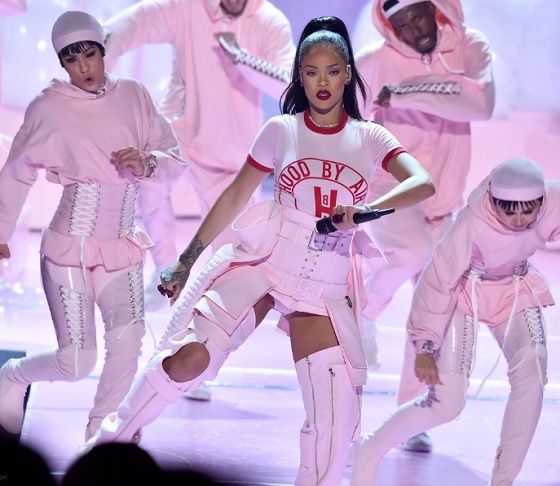 Rihanna, who was this year's winner of the Michael Jackson Video Vanguard Award, kicked off the show with a medley of hits "Don't Stop the Music," "We Found Love," and "Where Have You Been," with her and her dancers rocking all pink. In honor of her work over the years, she had a total of FOUR performances throughout the night, and, though I love her and the performances, it got to be a little much after the second one. Puff Daddy presented the first award on the main stage for Best Hip Hop Award. It was legendary obviously because Puff is iconic and the Bronx was the birthplace of hip hop! 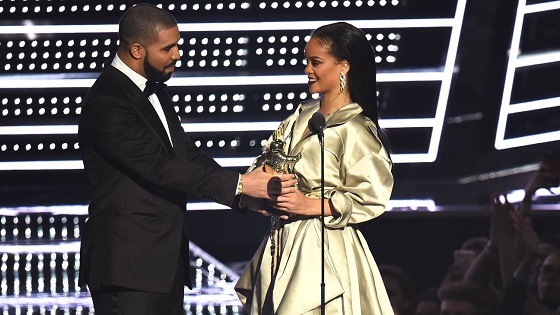 The award went to Drake for "Hotline Bling," of course, and he was "stuck in traffic," so he missed accepting the award. Chance the Rapper then announced Ariana Grande and Nicki Minaj's performance of their collab, "Side to Side," which is a hit to me. The performance was an ode to fitness with Ariana and her dancers starting out on stationary bikes, and other guys doing exercise moves, which turned out to be the theme of the actual music video. Nicki and Ariana both looked great, though Ariana's vocals left a good bit to be desired. In honor of the 53th anniversary of Martin Luther King, Jr.'s I Have A Dream speech, Alicia Keys shared a poem about loving each other in spite of our differences before presenting the award for Best Male Video. "Maybe we could love somebody instead of polishing the bombs of holy war," she sang at the end. Then she announced the winner: "This is What You Came For" by Calvin Harris featuring Rihanna! Calvin had a show in the UK, but sent over his thanks through video. Michael Phelps then brought Future to the stage, calling him one of the most inspiring rappers out. Ooookayyy. Future came out and performed"F**k Up Some Commas," which is an okay song to me but that's all. I just....I really don't get the hype behind this guy. But I guess a lot of y'all really like him, so he'll be around for a while. 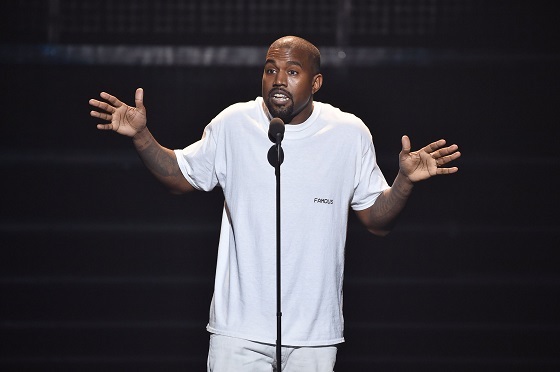 MTV apparently gave Kanye four minutes to do whatever the hell he wanted to do. Of course, he skipped dress rehearsal, and goes off script all the time anyway, so God only knows what he was going to say or do. He came to present his new video, but wanted to talk for a bit, and so he did. He talked about his "Famous" video and all the drama behind it, and completely lost me. He was saying a lot without saying much at all! He finally announces the world premiere of his music video for his track, "Fade," which featured Teyana Taylor. In a gym, Teyana showed off her dance skills and AMAZING body, pushing me and many ladies I'm sure to go to the gym even when we don't feel like it! Her body ya'll....SHEESH. We also see her cooling down in the shower with fiance Iman Shumpert, and posing with him and their daughter, Iman, Jr. at the end...in the midst of sheep with a prosthetic cat face on. It was so Kanye...some hidden meaning that you don't get, but I loved Teyana in this! It's definitely gotten A LOT of attention, which could definitely be helpful for promo with Teyana having some new releases coming! Naomi Campbell announced the second performance by Rihanna for the night, a dancehall remix of songs "Rude Boy," "What's My Name," and "Work," which was really fun. It just shows how far she's came since she first came out. But like I said, after this performance, I was cool off of her hitting the stage. I would have much rather her have had a good 10 minutes on stage towards the end of the show. I love her, but after a while, it got a little old. Next, Nick Jonas and Ty Dolla $ign hit the Tick Tock Diner in NYC to perform their song "Bacon," which is definitely catchy and it was cool to watch them performing there. Next was the performance many of us were waiting for! Serena Williams came out to present Beyoncé, who performed basically a nice long medley of Lemonade!!! She and her dancers SLAYED. Point blank period. Even after the performance was over, she was still on stage, and the audience was still yelling and screaming like this was the Formation Tour! It was crazy because tonight really should have been about Rihanna, and, to no real fault of her own, Bey kind of took away that shine a little bit simply because she's Bey. Beyonce 'Lemonade' medley at the 2016 MTV VMA's from Daniel Roy Timms on Vimeo. Jaden Smith and Shameik Moore then presented the award for Best Collaboration to Fifth Harmony for "Work From Home" featuring Ty Dolla $ign. This was the group's second win of the night, winning Song of Summer for their collab with Fetty Wap on“All In My Head (Flex)." Kim Kardashian West presented Britney Spears, who performed her track, "Make Me" with G-Eazy and then sang the hook on his track, "Me, Myself and I" Now, Britney is iconic, and always will be, but we all know she never really sings live anymore. We're used to it by now, so that's what she gave us last night. It was nothing all that extraordinary, but it's Britney so we still somewhat anticipate what she's going to do. Or at least I do. The USA gymnastics team Final Five (minus Gabby Douglas, who was having medical issues), presented Best Female Video to Beyoncé for "Hold Up." Tracee Ellis Ross then brought out Rihanna for her third performance, singing "Needed Me," "Pour It Up," and "B***h Better Have My Money. It was announced earlier in the night that Bryson Tiller and DNCE were the top two nominees for Best New Artist. Throughout the night, MTV gave viewers the opportunity to vote between the two Fifth Harmony announced that it went to DNCE, who is actually a pretty cool group headed by Joe Jonas! The Chainsmokers then hit the stage with Halsey for their hit "Closer." I had never really listened to them before, but I think I'll check them out! Jimmy Fallon came dressed out like Ryan Lochte cracking jokes, the funniest person to speak all night! Made me kind of wish that he had actually hosted! He announced the winner of the Video of the Year, which to no one's surprise, went to Beyoncé for Formation! It was an epic song and video! Mary J. Blige announced the final performance of the night, from Rihanna, who performed "Stay," "Diamonds," and "Love on the Brain." Drake then came out of the woodworks and gave a little speech about her, admitting that he's been in love with her for the past seven years and that he admires her! We all pretty much know they're together, or at least hanging out a lot, but she kind of swerved him on stage when he went in for a kiss! He presented her with the Vanguard Award for her work and growth over the years, which was deserving. Though she's still young, Rihanna's been around for 11 years, and has created a lot of great music and videos. That can't be denied! Overall, it was a pretty good show, at least performances wise! Like I said, the correspondents idea was terrible, and MTV needs not ever do that again. It was a REALLY long night too, but that was kind of to be expected. Just wish they could shorten the show to a good two hours and keep it moving. I enjoyed watching though. What did you think of the 2016 MTV Video Music Awards?